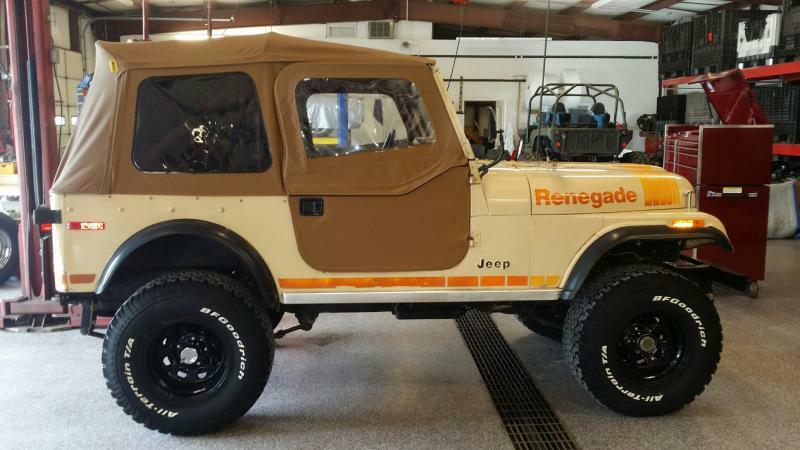 Rudy's Classic Jeeps LLC - Clean Arizona Original Paint 1979 Jeep CJ7 Renegade 304 V8 3 Speed $10,500 SALE PENDING Listed 7/22....Deposit taken 7-23 Sold 7/29. SALE PENDING Listed 7/22....Deposit taken 7-23 Sold 7/29. Just in from deep in the salt free dry desert of Arizona is a rare original paint 1979 304 V8 Renegade with the factory 3 speed. Only 103k original miles after 35 years. It is still wearing it's 35 year old Renegade decals on the hood and sides. 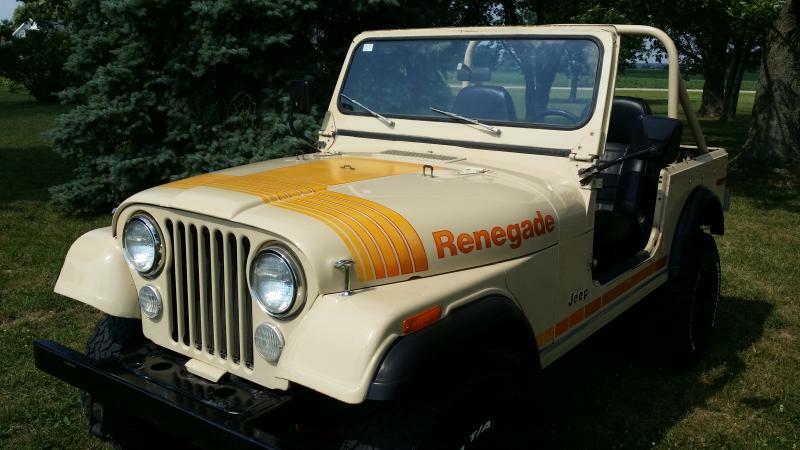 It even has the original Renegade steering wheel and uncut dash with all working gauges. 3 speed manual transmission was just rebuilt and it got a new clutch. Over $1200 and receipt shown and included. Works perfect as does the 4wd. Good premium 33" BFG All Terrain tires on 10" wheels. Rare uncut dash and clean original dash pad. No Rot original floors. No patching done or needed. No flaky rust. Photos shown where seats were removed for cleaning. Body has less than expected defects for being 35 years old. Most CJs are on their 3rd paint job, 2nd body and a stop sign on the floor. Not this one. It still has original decals. No secrets hidden by NEW shiny paint. Starts easy. Drives better than a lifted CJ usually does. EVERYTHING WORKS! All lights, gauges, horn etc. Comes as shown with your choice of bikini top. We can add a hard or soft top. Call quick....the last one sold in one day.